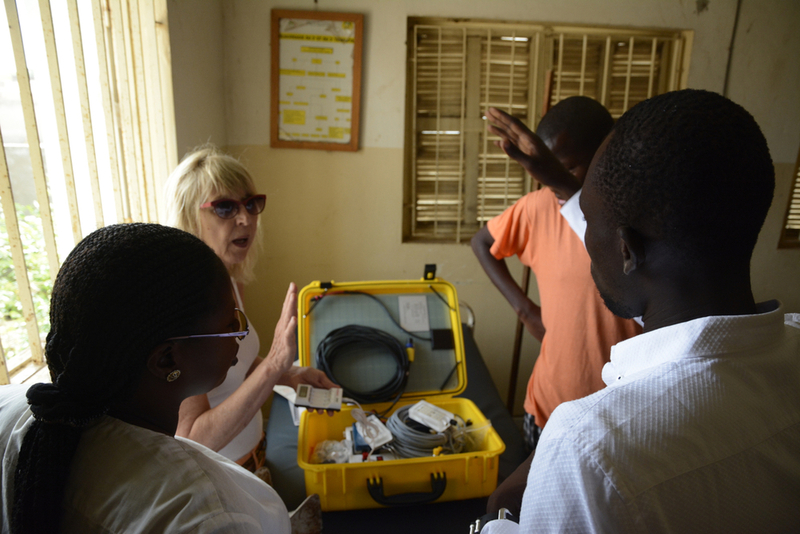 I worked with Katarina Cusin and LWHS student Cameron Rosen to install a 2nd WeCareSolar suitcase in the remote village of Nguniene, Senegal. Cameron and I performed the install, and Katarina delivered the training. During the training, the staff informed us that they deliver babies for a whopping 25 villages! As with the previous install, we were unable to drill into the roof so we had to get inventive. The hospital gave us an old steel bed frame and we used metal zip ties to attach the panels to the frame. Let's hope this device makes for many happy babies! The hospital keeps all sorts of friends on campus. 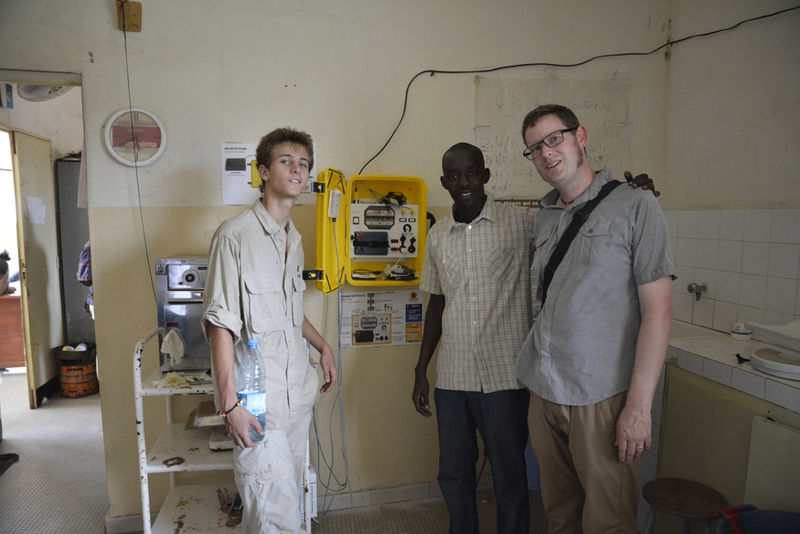 We installed our first WeCareSolar suitcase at the Poste de Sante Dediender, about 10 minutes from the village of Santhiou Mame Gor, Senegal. 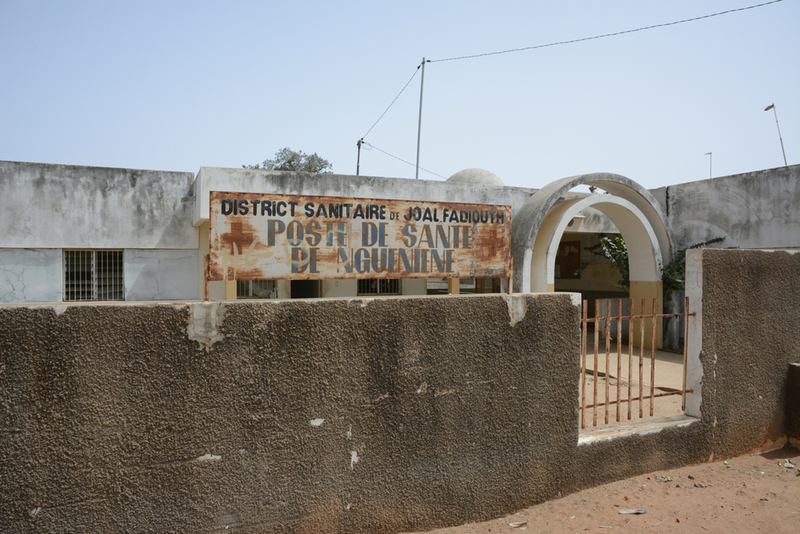 This clinic is heavily used and sometimes has doctors delivering babies by candlelight! They were very excited to have the included super-bright LED lights and rechargeable headlamps for upcoming deliveries. Four students (Zack, Kyle, Long-Long, and August) helped with the installation. Katarina Cusin and I worked together on training the staff how to use the unit. Daouda Camara helped to translate the instructions to Wolof. We couldn't drill into the roof due to suspected asbestos so we built a wood framework for the solar panels and attached everything to cinder blocks (which were already on the roof). Check out the candle in the window!